When the stage lights dim and the spotlight surrounds you, do you perform for the world? Giving it your best effort to deceive every eye upon you into believing everything is fine. On the other hand, would the pressure cripple you, bare and broken, waiting to breathe? Dartanya Waters finds herself constantly putting on a masquerade for everyone around her. On the outside, everyone sees her as a happy, quirky twenty-one year old. Internally, she buries her thoughts, hiding her fears behind a fake smile and false confidence. Panic flows through her veins, and no one knows the horror threatening her sanity and life on a daily basis. She is every man’s fantasy, and every woman wants to be her. That is, except her. She would give anything to rewrite her story and live tomorrow carefree, but for her, that isn’t possible. When the walls of her life finally fall and she has to fight to the surface, Nate Daniels is there to pull her from the wreckage. He’s searching for the one thing he’s never let go of. Love. He is stubborn, bold, and the only constant in her life that gives her hope. How much time and sorrow will pass before she forgets who she is and she loses herself completely? The ultimatum the two face is to find their happily ever after or drown in the sea of lies Dartanya spreads throughout their relationship. The path they follow is up to them…or is it? 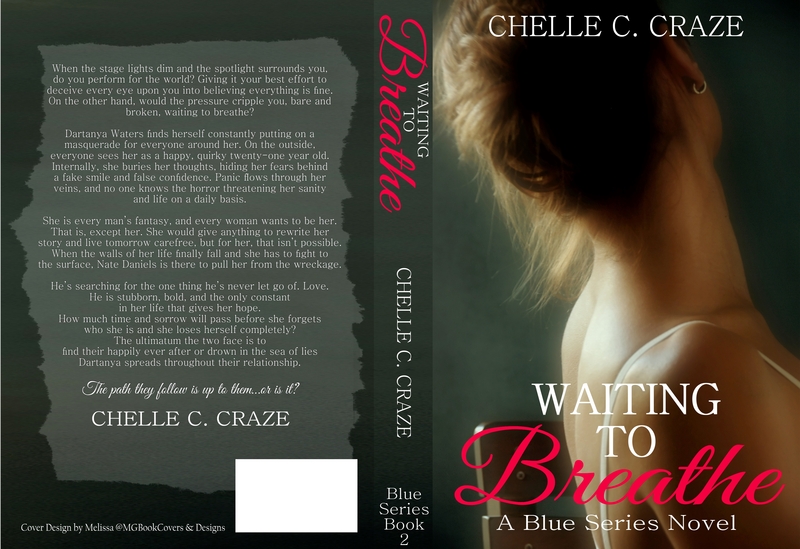 Click HERE to add Waiting to Breathe on Goodreads.